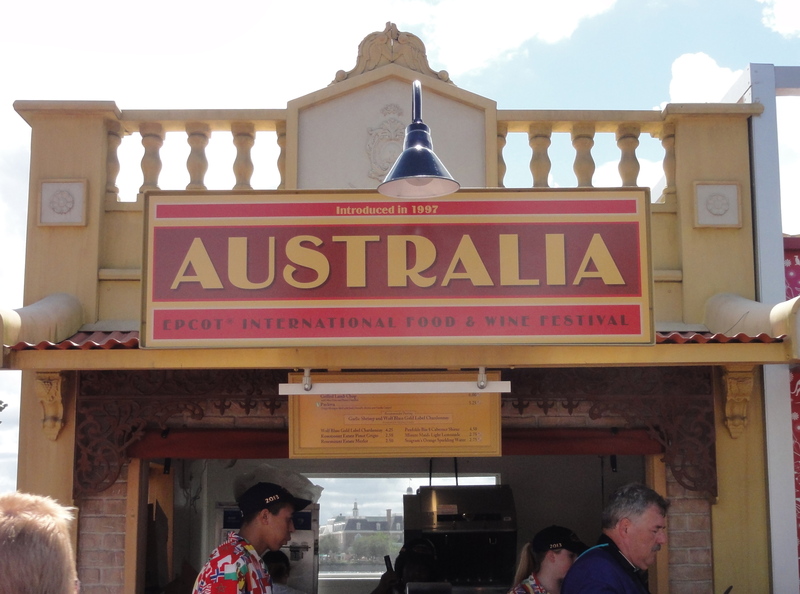 Walking along from Argentina, we hop across the Pacific and land in Australia. And it’s definitely worth the trip! 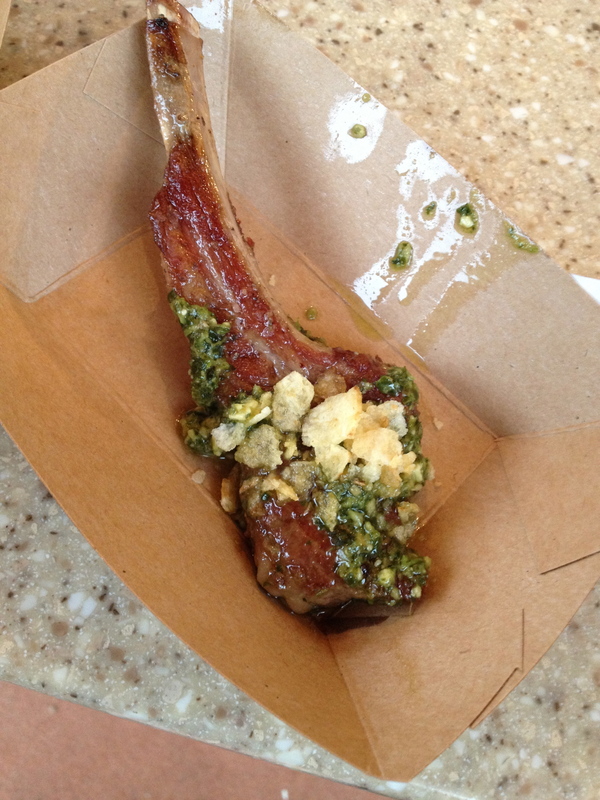 Besides, we had to leave room for one of our favorites from last year’s Food & Wine fest, the Grilled Lamb Chop with Mint Pesto and Potato Crunchies. (That’s potato chips in case you were wondering.) Just as scrummy as last year. I know many people were bemoaning the disappearance of a festival favorite – the Lamington. 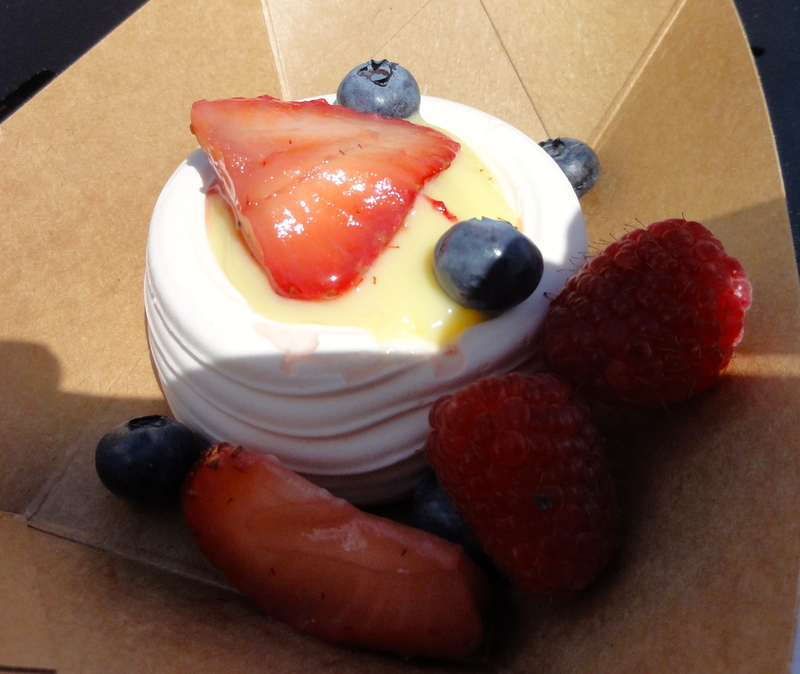 If you’re one of these folks, take heart – the new Pavlova (Crispy Meringue Shell with Fresh Berries and Vanilla Custard) is a real winner. I’m a fan of custard-based desserts, and the custard here is really spot-on. The meringue is very crunchy and melts in your mouth, like astronaut ice cream. It’s a little difficult to eat with plastic utensils while perched on a bench, but it’s totally worth the hassle. Probably could have done without the slightly less than perfect berries. Not sure that Driscoll’s is doing themselves any favors by sponsoring Food & Wine fest. Beverages are a Pinot Grigio and Merlot from Rosemount Estate, Wolf Blass Gold Label Chardonnay, and a Penfolds Bin 8 Cabernet Shiraz. I’d probably go with the Penfolds. Tomorrow we’ll hop back across the pond for our next stop, Mexico!